State Bank of India Result Probationary Officer Exam. SBI PO Main Result 2018: State Bank of India has declared the SBI PO Main 2018 result on the official website of the bank today. The SBI PO Main results 2018 are published on the official website, sbi.co.in. The results can be accessed from the career section of the website. 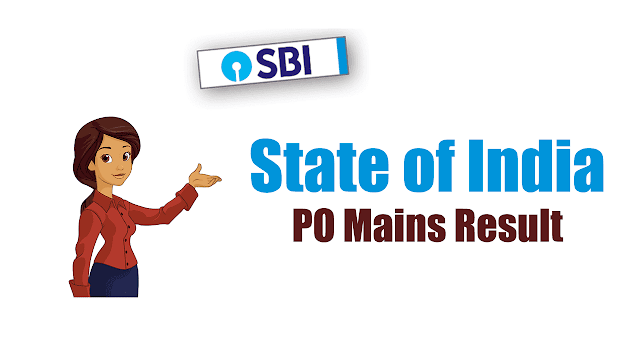 Apart from that, we have uploaded the official SBI PO Main results on this link. The candidates who are searching for SBI PO Main results may open this link and check their results here. The country's largest lender, SBI, had organised the PO Main exam on August 4, 2018. According to the schedule, the SBI PO Interviews will begin from September 24 and continue till October 12. The selected candidates may expect to download the interview admit cards from September 1, 2018. A notification published on the official website of SBI PO 2018 recruitment process had earlier said that the results are expected to be declared by August 31, 2018.